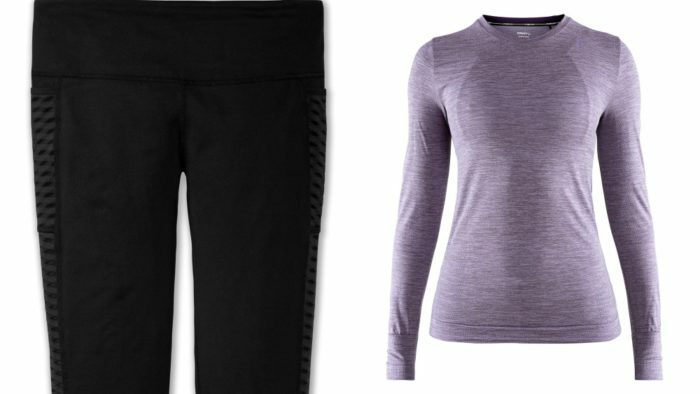 With so many runners braving the elements to train for a Spring marathon at the moment, we thought we’d bring you our top kit picks. Whether you’re after trainers, something to store your long run treats in or a jacket to keep the elements out, we’ve got something for everybody. Let’s go from the ground up! 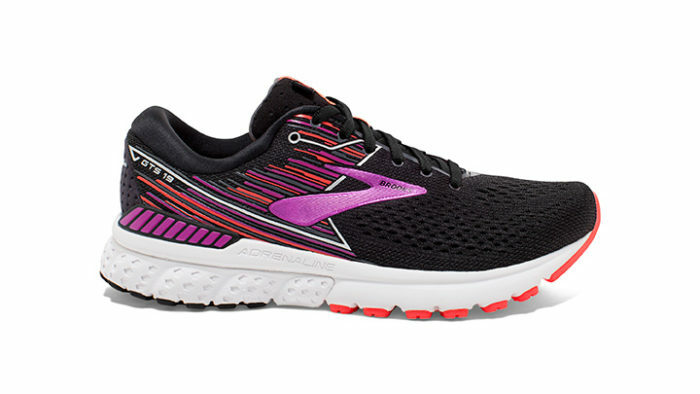 For those long runs when you want some decent cushioning we’ve been really impressed by the Brooks Adrenaline GTS 19. Read the full review here. 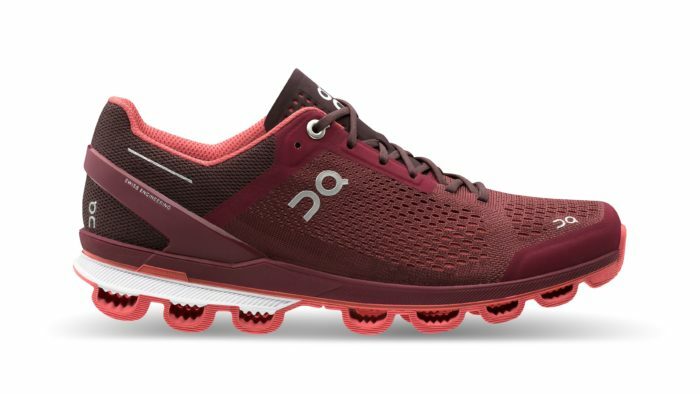 If you’re looking for a shoe which is great on those speedier runs, as well as still being nicely cushioned, it definitely worth taking a look at the On Cloudsurfer. 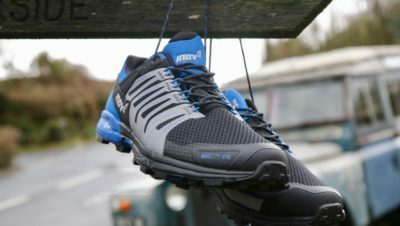 Very comfy on the run but light and responsive. Read our full review. It’s very subjective and I am very fussy but I’m completely in love with Teko socks. 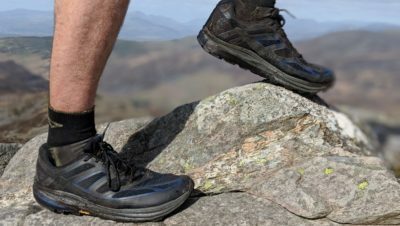 Really well made, very durable and comfortable and a really impressive commitment to sustainability, from the materials used, to transporting them, to manufacturing processes, to packaging. I’ve got a few pairs and I try to organise my washing so I’ve always got some to run in. It’s so hard to find tights for the Winter that keep out the elements but don’t weigh you down or make you overheat. I’m a big fan of the Ron Hill Stride tights which have a brushed inner which feels fleecy and warm. For a slightly lighter tight there’s the Brooks Greenlight Tight, which is a good quality and comfortable tight but with minimal fuss on the appearance front, just reflective detail on the zips. But they also have a clever sweat resistant back pocket which is perfect for a phone. 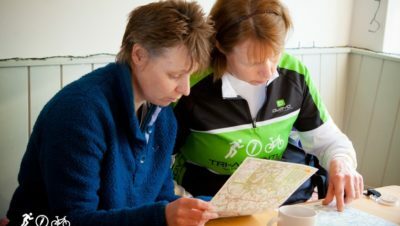 If you’re doing a long run you’re likely to want to take a bit of stuff with you – maybe a jacket, a drink, some food, some gloves. If you’re a fan of staying quite minimal it’s amazing what you can get in a Naked Band. 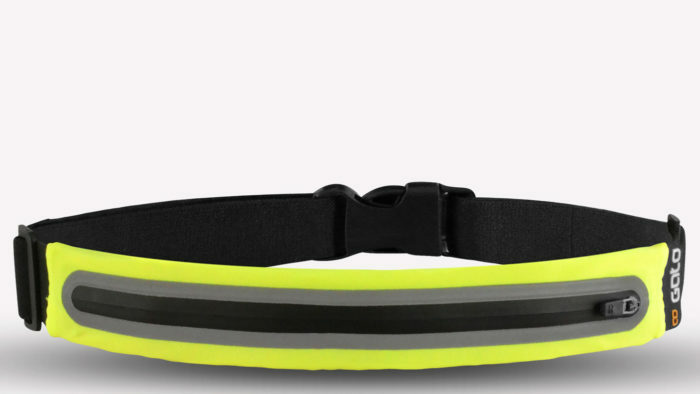 A budget option, which will hold a lightweight jacket and phone and it’s waterproof and will help you be seen is the Gato waterproof sports belt. For £12 I don’t think you can beat it on value and practicality. My go-to base layer for a while has been the Craft Fuseknit Comfort (see above) because it’s soft, seamless, keeps you warm and it’s made of recycled polyester. I must have washed it at least 50 times now and it’s hasn’t lost its fit or degraded in any way. 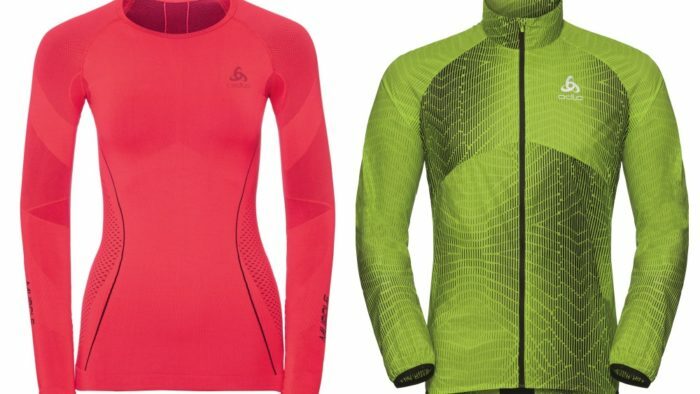 Another great base layer for the winter is the Odlo Muscle Force. It’s a super tight one but it keeps you really warm and breathes well. This is the big one! A decent jacket is an investment which will last you for years. A bad one means you will be cold, wet and miserable. And there’s a BIG difference between water resistant and waterproof! The Brooks Canopy jacket is the one Des Linden wore to win Boston in those horrendous conditions last year, which must say something about its protective capabilities. It’s water and wind resistant, it’s nicely fitted and very light, it has two zip pockets and it packs up into its own pocket. It’s also has a hood which can be rolled up and secured with a fastener when you’re not using it. We really liked it as a lightweight jacket to keep out the elements. The Odlo Omnius jacket is also windproof, water resistant and super light. You barely know you’re wearing it and the DWR coating will keep you dry in light rain. It packs up really small into its own pocket so it’s a great jacket to have with you just in case the weather turns. 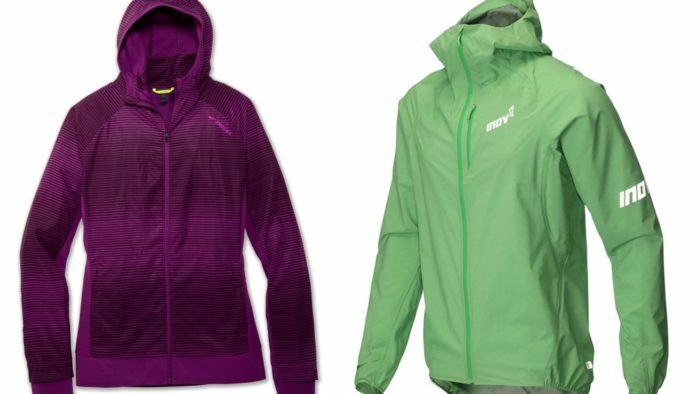 For a waterPROOF jacket, ie one which will keep you dry for hours and hours of running in the rain, a great lightweight option is the inov-8 STORMSHELL. It’s made of a soft Pertex fabric so doesn’t feel swooshy, it’s really breathable and it packs up small, but it keeps you dry. A very important bit of kit for 50% of you. So important we did an article on choosing the right one. We really like these 2XU gloves, which come with a mitten overlay. They’re nice and warm and if there’s a really biting wind you can just pull the mitten bit over and you’re toasty. These Odlo Ceramiwarm Grip gloves are great too. Lightweight but ‘harnessing the warming properties of ceramics’ and also treated with a DWR coating. If you really suffer from the cold these Montane Prism Mitts take some beating. I recently bought a pair after being sick of getting painful, cold fingers and they are a winner. They are super light (46g) and pack up small into a little stuff sac. Great to have in your backpack. 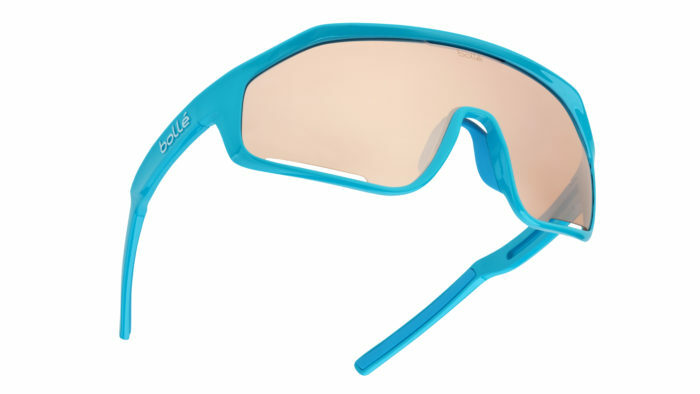 If you are a fan of the futuristic, how about these Bollé Shifter sunglasses? Big is good when it comes to your vision and the lens is subtly vented to stop annoying steaming up. The lenses are designed to give you optimum vision in different types of conditions. 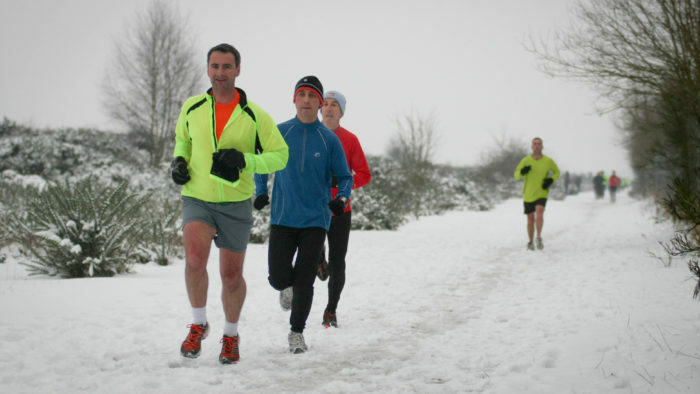 All good news for running at this time of year! Recognising the difficulty of actually keeping the things in your ears and getting the flipping wires caught in your jacket etc etc these X4 wireless earbuds from Jaybird come with ‘interchangeable fins and tips’. This should guarantee an ear fit for every type of ear (unless you’ve got freaky ones) and the sound quality is really good. By the way, headphones are just for training, not for the marathon itself! Rich Roll – Unlock Your Best Self. It isn’t just about running, it’s about general fitness and wellness, but there’s some great content on it. Highly motivational stuff. You may need to keep a check on your pace when listening! Mario Fraoli – The Morning Shakeout. Some great conversations with some really interesting runners and his weekly newsletter is always packed with great stuff.